COMMENTS: Beautiful bright blue in clear mp, gray cadet blue in white mp. either way its beautiful! COMMENTS: Great, vibrant color. No morphing in CP soap. If you're used to using blue mica, consider using less when using this product. A little goes a long way. COMMENTS: Really nice bright, non-bleeding blue.Doesn't morph to purple! • Doesn't morph to purple! COMMENTS: This is a wonderful blue. The color is so potent and concentrated but I have never experience any bleeding or fading. 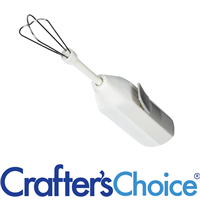 It's easy to use and blends effortlessly. I am adding this blue to my arsenal forever. Only used in CP soap and it's wonderful. COMMENTS: One of the most beautiful blues. A staple in my soaping supplies. COMMENTS: Provided a vibrant blue color on my cold process soap. A little goes a long way. COMMENTS: Love using ultramarine blue as my main color in my soap designs. You can make many different shades of blue with it which looks good with so many other colors. Mixes well, deep color, no chunks or specks if mixed well. I just pour into my batter. COMMENTS: WOW what a vibrant blue this makes! Used about 1tsp/ppo, and that turned out a bit too much! It's great though, as it means a little goes a long way! Very easy to incorporate too... Just a few pulses with my stick blender and it was nice & evenly dispersed with no clumping to fight with! Next time I'll use a tad less, but I have no doubt it'll produce a true blue every time! An excellent quality colorant that makes gorgeous color in soap... It doesn't get much better than that! Was a pleasure to work with, and is definitely a product I will keep on hand at all times now! • Produces vibrant blue in CP! "Be aware of the smell"
COMMENTS: Didn't realize I'd get a "sulfur" smell w/this in bath bombs, hoping no smell in soap. COMMENTS: This is so vibrant and potent, not much is needed at all for a dramatic color! This will be a staple! 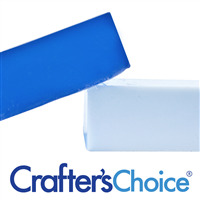 COMMENTS: This is an easy to use product that works great for coloring my CP soaps! COMMENTS: This color works very well in my soaps, cold process and melt and pour. A little goes a long way! "Learned a very important lesson with this product"
COMMENTS: I learned that ultra marines and bath bombs do not mix! In soap, the color is very bright & vibratn! "Seems to morph in CP"
COMMENTS: One of my favorites colorants and one I constantly keep in stock. 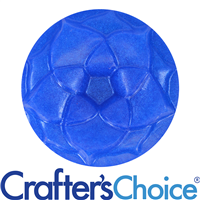 Produces a very pretty blue and is easy to mix and combine with other colorants to produce a wide range of color and hues. COMMENTS: I love using this with lapis blue mica, they stay true in cp and a little goes a long way! COMMENTS: There is a reason this is their best selling color. Thank you WSP! COMMENTS: This ultramarine is a what you see is what you get. It provides a true blue that is very vibrant in my CP Soaps. 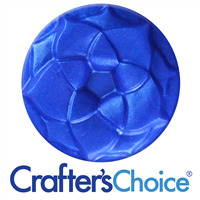 This Matte Cobalt Blue is the best blue color I have ever had in CP Soap. A little goes a long way, so you may want to start out at the lower to mid range. I probably used about 1 1/4 - 1 1/2 tsp to color 39 oz of oils. It came out so vibrantly blue that I was afraid I had used too much & was going to get blue lather. But, I washed my hands with it about a week into cure & it did not lather blue. I have also added a touch of it to lighter blue micas to give the mica a little more depth & it blended in easily & added the vibrance I was looking for. No bleeding at all & has not faded at all. Even when using only this color in my soap, I still blend it with a little oil before pouring into my main oils since like other oxides & ultramarines it can tend to speckle if not well mixed. I highly recommend this product. COMMENTS: I bought the sample size of this color. It didn't take much to color my soap. It mixed well. COMMENTS: This color seems to morph in CP - it seems to fade quite a bit. COMMENTS: This makes a really great bright blue color for CP soap. Easy to use. COMMENTS: Bright blue color! Love this! "It has a smell that does not go away"
COMMENTS: I made toilet tabs and used this to color them. I cannot sell them. This is the FIRST time my husband has made me take my projects out to the garage to dry. I used the Lemon Verbana EO FO blend in the toilet tabs and then used this to color. The sulfur smell was horrible. It has not gone away. I am so glad I did not use this on a big batch of bath fizzies. I would have had to throw them away. COMMENTS: This is a beautiful blue and works well in my cp soap. "The best blue in Cold Process"
COMMENTS: This is the most beautiful, vibrant and dependable blue. I love making blue swirl soap with this! "Great in soap, but be careful in bath bombs!" COMMENTS: This is a gorgeous blue when used in soap. In my bath bombs, the color stayed beautiful, but the ultramarines reacted with my fragrance to create a rotten egg smell. :( It did fade after a while, but not enough that I felt comfortable selling those particular bombs. Oxides are fine, just beware the ultramarines! COMMENTS: Unfortunately it isn't stated anywhere here or with other suppliers, that Ultramarines ESPECIALLY Blue, give up a disgusting sewer, rotten egg smell when used in Bath Bombs and other bath items using Baking Soda. Good thing I only got this as a Sample, had I purchased and then discovered this nasty reaction I'd be really upset. WSP needs to include this little bit of info in description as it will save their customers time money and wasted product. I only found out what caused the problem when I asked for help in a FB group. Shouldn't have to find out like that. 13oz bi-colored bath bomb now worthless. • The color is gorgeous. • Include STINK caution in description. "The PERFECT Brilliant Cobalt Blue Color"
COMMENTS: I am a person who loves color. When I make soap, I want it to be brilliant, invigorating, and even neon in quality. Bright colors help me get through the dull gray long winters. When I tried the neon blue colors to go with the rest of my neon color powders, I was very disappointed. They just were not bright like I wanted them to be. When I found this one, WOW. I am THRILLED with it. Very brilliant, intense, and perfect match of intensity to play with the neons I put in my soap. So far I am only playing with melt and pour, but plan to test it out in CP soap too. I really love this color and use it with the Lapis mica for extra dimension. COMMENTS: This is a great color. I use it in my Zombie dust and it colors wonderfully. 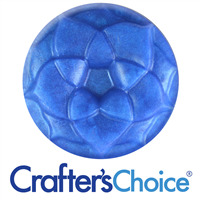 COMMENTS: I just love this blue mica in my cp soaps! It is a staple in my collection! COMMENTS: I use this for just about every shade I need. A little goes a LONG way and it's so easy to blend! COMMENTS: Retains its original color. No morphing. Stays where you put it. Many beautiful shades can be made by controlling quantity. Behaves well in CP soap. I find most blues change to green, but not this one. COMMENTS: We really loved the color in our CP soap! Absolutely beautiful! Unfortunately, it left an awful sulfur smell in our bath bombs that just got worse over time. COMMENTS: Bright true blue that I was looking for. In both MP and CP, it doesn't morph/change color. What you see is what you get in your soap. COMMENTS: I had a color in mind for a very special soap, and this did not disappoint. The only issue I had was it leaking out (?) after the cook, but that might just be because this was the first time I've used such a strong colorant. COMMENTS: The color stayed true in CP and held up well. I will use it again. COMMENTS: Beautiful color... worked well in soap, but aqua marines and bath bombs do not mix... lol. "WOW! This color is Attractive!!" COMMENTS: Works well, if you take a little melted hot soap and mix it separately first, and the results are amazing! You can swirl the color or make the soap solid color. I think it works best in a clear soap if you want the shocking blue color! COMMENTS: Wonderful color to have! Will buy more. COMMENTS: This creates a perfect blue in cold process soap. Mix with a little oil, a little goes a long way. "Beautiful color, but does smell like sulfur"
COMMENTS: First, this color is awesome. The blue is very vibrant and made huge differences in the color of the bath bombs. You don't need a lot. A little will color a large amount. Out of the jar it has no smell. But once I started mixing this color with the wet ingredients for bath bombs, I noticed a strange smell. I thought it was my fragrance at first, like maybe it went bad. So, I moved to another fragrance still using the ultramarine powder and the same thing. Did some research and saw others experienced the same thing. I let them dry over night like always and the smell went away. I also tested these in the bath to ensure there was no residual smell and there was not. Not sure if it is something in my recipe mix or what. Still don't like having to smell that and worry about potential issues with customers. COMMENTS: Absolutely LOVE this color! Has stayed true in my CP recipes & also looks great in my M&P products. Fantastic price point & a little goes a very long way. No speckles in M&P as long as it's pre-mixed in a bit of glycerin first. I also pre-mix before using it in CP & it turns out perfect every time. COMMENTS: Excellent color. I mixed this with a little indigo to get my perfect color. I don't see any color bleeding. Highly recommend. COMMENTS: To be fair, I'm sure if I use this in soap making it will perform like 5 stars. I'm only giving this a one star rating for it's use in bath fizzies. BEWARE! It WILL create STINK BOMBS instead! Many 5 star ratings for use in soap, both MP & CP, so stick with that and don't make a batch of accidental stink bombs like I did! • This is not a good choice for fizzies. COMMENTS: What a beautiful color. Non staining, and is a beautiful pastel blue it makes in white soap! Will buy again! COMMENTS: The most vibrant blue I have found! A little goes a long way here. I wanted a deep blue for an ocean soap and this one fit the bill nicely. COMMENTS: Used only a little of it and created a vibrant blue soap. It is a bit hard to get all the clumps out and stirred up but it gives great color. COMMENTS: Brilliant blue, worked wonderfully in my cold process soap with no problems. COMMENTS: Nice dark color for bath bombs. "Crafters choice matte cobalt blue ultrmarine powde"
COMMENTS: Crafters choice cobalt blue ultramarine color powder is easy to use neautiful product It works best with a clear glycerin but creates a equally beautiful pastel shade aswell with white soap bases. COMMENTS: i love this blue.. It works very well in my cold process soaps.. COMMENTS: I have seen a lot of blues, but this blue is by far the best. Now I see why its a best seller. Works well in bath bombs and soaps. I love how bright it is, and its not dull like some blues. COMMENTS: Works great in my cold process soap bars! Just mix with a little water beforehand. I can use different amounts to get bright blue or pastel blue. COMMENTS: I got this as a sample. I usually only like to cold process with natural colorants...so I figure I would step out of my lil box and try something new. I let is bright, I like that. But didn't realize it supposed to be mixed with water not oils...so that's my fault. So I got some specks throughout the soap :-(. But i enjoyed experimenting and will do better in the future...lesson learned. COMMENTS: Product performs very well in cp soap, can achieve a ride range of beautiful blue colors. COMMENTS: Beautiful color! Very nice product. 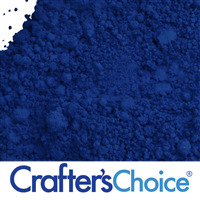 "Crafters Choice™ Matte Cobalt Blue Ultramarine Pow"
COMMENTS: Works great, a little goes a long way. COMMENTS: Very bright, deep blue in my bath bombs. You don't need a lot to get a nice shade. COMMENTS: This is a beautiful color. I got the matte for something different than glittery. I would buy this color again. COMMENTS: Beautiful bright color. Once I get my swirling techniques down, this will be amazing. Would alos be good as a solid, but REALLY striking for swirling. COMMENTS: Works great in cold process soaps! Very pretty color. Will order more! COMMENTS: I got this color as a sample and was so excited to use it in my bath bombs. It is a beautiful color but when i added it to my bath bombs it immediately started to smell like rotten eggs it was horrible! Luckily I didn't make too big of a batch but it sucked that i had to throw them away. I haven't used this product in anything else besides bath bombs, so I can't say how it performs with other ingredients but it does not work well in my bath bombs. • Whatever makes it smell bad! COMMENTS: I'm in love with this powder. It's everything I hoped for in my products. COMMENTS: I love using ultramarines in my CP soaps. They do not morph and after gel phase are just a beautiful vibrant color! I especially love this blue. I've had no problems at all! "Gorgeous blue in CP soap!" COMMENTS: I received the sample size of this color and tried it in two different batches of CP soap - it stays just as blue in the finished, cured bar as the powder is before mixing. Really wonderful and I will definitely be ordering more! COMMENTS: I received the trial size of this product. I used about 1 tsp for 4lbs of oils. The end product is a lovely, vibrant shade of blue. I am definitely placing an order for more of this colorant. COMMENTS: The Blue Ultramarine Powder is perfect for adding a touch of blue to peppermint soap and scrubs. Easy to blend with olive oil if use a mini mixer. COMMENTS: Makes a true blue color in CP soap. 1/4 tsp per pound won't get you a true royal blue but its close. "Nice Primary Color for rainbow layered m&p soap"
COMMENTS: I bought a sample size pack of this colorant to make a rainbow layered soap. The soap turned out beautiful. I was very happy with how well it looked with the other colors in the soap. Mixed easily with liquid glycerin using a mini mixer. Looking forward to using again in other products. "Used this in bath fizzies...."
COMMENTS: What a lovely color in bath fizzies! Just beautiful. "Matte Cobalt Blue Ultramarine Powder "
COMMENTS: This gorgeous blue gave me such a pretty, soft blue in my soaps and scrubs and salts - I just love it! I wanted a soft blue in my products and got exactly what I was hoping for! I'm sure that I will get great results when using more for a darker blue as well - it was so easy to use! COMMENTS: Produces a great color. A little goes a long way. COMMENTS: I love this blue. I use it all the time! I get a soft light blue snow swirl with less amounts and a deep blue with more. Great Blue! COMMENTS: I really love using this colorant in my hot process soap and bath bombs. This blue colorant is the prettiest blue that I have found in the powders. COMMENTS: Very bright and vibrant color. love it! COMMENTS: Loved this color! A nice true blue. COMMENTS: Purchased this color to do Bath Bombs and to add a little color to some soap. This is a beautiful blue for the bath bombs. Haven't had a chance to use it yet for the soap, but I am sure that it will be just a beautiful. COMMENTS: Provides beautiful color for bath bombs. COMMENTS: This color is so versatile. I have used it in both cp soap and my bath bombs. Creates a true and beautiful finished product. COMMENTS: I have used this in two different cold process soaps this weekend! The color is vivid and so beautiful! I don't notice an odor that others have referred to! I will be using this a lot!!! "Smells like sulfur in finished product"
COMMENTS: I have had nothing but problems with the Crafters Choice™ Matte Cobalt Blue Ultramarine Powder. No matter the application, the products I make that contain this colorant smell awful - sulfuric, like rotten eggs, or stink bombs. I've now had to toss out 2 batches of bath bombs, and a 10 lb. batch of cold process soap that was otherwise perfect. Despite trying, time and time again, to make this product work for me, I'm afraid I have to throw it out too. 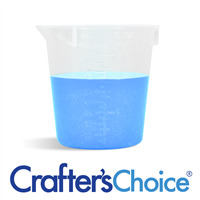 COMMENTS: This is my favorite blue colorant for melt and pour soap. Very pretty any shade you make it. Little goes a long way. 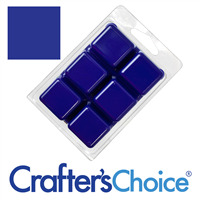 "Great non-bleeding pigment -a true royal blue"
COMMENTS: This was a great color for my blue jeans soap. I dispersed in sweet almond oil before adding to my batch of soap. I did a swirl and everyone loved the look. COMMENTS: I have used this color to make bath bombs many times and I love the result each and every time! A very vivid color that does not leave behind any residue. COMMENTS: I used this product in two batches of bath bombs - both of which smelled like a combination of eggs, ammonia, and pine sol. I made a third batch which came out wonderful using the bath bomb lake powders instead. This powder is lovely blue and I'm sure works well in a variety of applications. However, beware if you're getting it to color bath bombs. I asked some of my fellow soapers on a forum and they agreed that this ultramarine does not work well in bath fizzies. Smells like stink bombs!! COMMENTS: Great color in CP Soaps! COMMENTS: Color didn't come out blue, but a grayish blue. I used 1/4 tsp. PPO. I love how it came out, it looks like slate. • Bright or muted stays true. • was difficult to get out. COMMENTS: This blue color is beautiful. Color stays true thru CP soaping. This is a favorite of mine. COMMENTS: I chose this as a free sample and will be reordering. 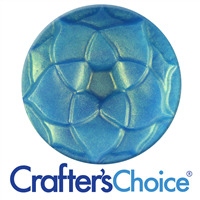 I used this for a light blue swirl in my soap using the Seaside Escape fragrance & jojoba beads. Turned out awesome! It all worked together great and the color is beautiful! Definitely a keeper. COMMENTS: This product is very bold in color and you only need to use a little to get great results. A little goes a long way. Would recommend to others. COMMENTS: I used this in bath salts and it looks really nice. I am going to purchase again. COMMENTS: This color works great in cold process soaps, either added to your lye water or mixed in the batch. Color stays true blue. COMMENTS: This is a gorgeous blue and pairs beautifully with the lavender pigment in cold process soap. COMMENTS: I like this blue, but I hadn't had problems with melting powders into MP soap before and this one was speckled. I figured out how to avoid this the next time and it's such a pretty blue I would probably purchase it again, but I know my preferences are for liquids and color bars. COMMENTS: This cobalt blue is very rich and deep. I used these to make bath bombs and the color is so BEAUTIFUL I decided to use them as a display peace in my shop window. WILL DEFINATLEY BUY THIS COLOR !!! "Excellent blue in CP soap!" COMMENTS: I am so thrilled with the strong, beautiful blue this created in CP soap! I used it to color two different shades of blue - one alone and another adding just a smidge of neon pink, beautiful blue/purple that worked great. Cured for 4wks and color is just as vibrant as the day I molded. Love it! COMMENTS: Really nice bright, non-bleeding blue. A little goes a long way. COMMENTS: I love this pigment for it's bright color! COMMENTS: This makes a lovely blue cp soap. Add td to lighten and black oxide to darken. Mix all powder colorants in a small amount of the oil or soap thoroughly before add to final soap. COMMENTS: I would never wear a blue lip color, but it is becoming more & more popular. I got this as my free pigment & I decided to experiment & made a lovely matte lip color with it. My best friend gave it the seal of approval, (she actually wears these colors), & it looked so nice I even considered before promptly changing my mind. lol. It is quite lovely though. COMMENTS: Used this in my soap and the color is very rich. A little goes a long way. 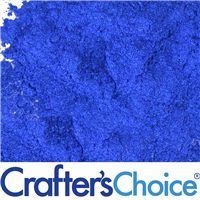 "Matte Cobalt Blue Ultramarine Powder"
COMMENTS: Good color, no problems. COMMENTS: I dont know what is wrong with mine or if its a combination of ingredients however when I mixed it with the Midnight pomegranate oil (and another oil I cant remember which) for a body butter it looked beautiful but smelled like midnight pomegrante and eggs. I will try it in soap and hope for the best. Other than that I love the pigments they color butters and scrubs with no problem. I love this blue so much I have to fight the urge to give it a try in other butters. COMMENTS: First time using an ultramarine powder. Created some neat swirl effects in my soap. COMMENTS: Only a small amount needed for bath fizzies! So pretty! COMMENTS: Just received my sample. It's the perfect amount for a sample batch of CP Soap for color test! COMMENTS: Awesome mixed in soaps gives bright color. 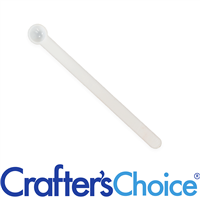 "Received as a Sample and LOVED IT!" COMMENTS: This was my first time using an ultramarine powder, but I liked it so much that I purchased more! Great option for soap colorants, without using dyes. COMMENTS: I love this color!!! It only takes a little to give you a bright beautiful color!!! COMMENTS: I really love how deep of a blue this powder is. it colors very nicely. COMMENTS: This color is great for many applications including soaps and bath salts. I love the color. COMMENTS: Color doesn't very. Easy to use. COMMENTS: this is such a beautiful blue cant wait to make more things with it. COMMENTS: Lovely color when used in CP soap. Color is true even months after making the soap. "Finally a blue that doesn't turn colors on me!" COMMENTS: Doesn't morph to purple! I finally found the perfect blue for Cp! COMMENTS: This is a really pretty blue color for my bath fizzies! "Start with less... Then add...."
COMMENTS: Start smaller on this color... On my first batch my hubby got a little over zealous... The blue turned out brilliant! But a little too much for me. Second batch I used what was left of the sample and it was perfect! A lovely Caribbean blue! Perfect for my waves! COMMENTS: Great color for a cold process soap!!!! "Finally, a good, dark blue!" COMMENTS: I've tried about 50 different products looking for something that was actually *blue*, not cyan. Finally found it! COMMENTS: Creates a rich vibrant blue. A little goes a long way. COMMENTS: Nice bright blue in clear soap and baby blue if used in white base. I will definitely buy again.